For the last week I've been vexed by a damn pop-up ad that took over my phone screen. The ads were for legit companies like Gerber Life Insurance and Honda. So I wasn't dealing with some skeevy malware, this was a legit ad network that had made it onto my phone somehow. I'll save you the list of things I tried because if you are reading this you probably tried them too. I finally stumbled into the solution, and it's actually stupid easy. Wait for the ad to pop up, then go to the Google Play store. Click on the hamburger menu icon on the left, and select "My apps & games." 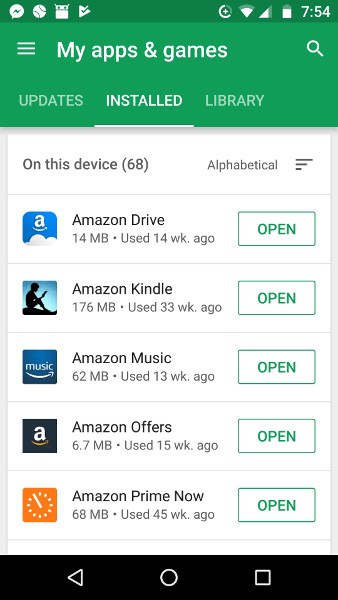 Then click installed and you'll get the list of apps that you have installed via the Google Play store, with a note about the last time the app was used. Scroll through and find the app that was used in the last few seconds and you will have your culprit. It's the app serving the Adchoces ad. Delete that Mofo and leave a bad review on the App Store. That's it. If you side loaded something this won't help you.